To cover the $950 million Medicaid budget gap, the governor proposed in her 2019-2021 budget to increase taxes on large hospitals and insurance plans, raising cigarette taxes and taxing employers who do not provide a minimum level of health coverage to their employees. Brown said there is “general agreement” on the hospital and insurance tax proposals and expects the Legislature to pass policy on those measures within the first eight weeks of the session. Brown’s proposed budget would increase assessments on large hospitals from 5.3 to 6 percent and reinstate a tax on insurance plans. The taxes are expected to raise $210 million to $320 million a year. The cigarette tax is a crucial part of Brown’s plan to create a long-term funding plan for the Oregon Health Plan, the governor said. It would increase taxes on cigarettes and other tobacco products by $2 per pack and is expected to raise more than $346 million in the first two years, if passed. Brown said she expects that will be left up to Oregon voters. Getting the tax passed will either require legislative approval, a referral to the ballot or members of the public running a campaign to get the tax on the ballot. “If I were a betting woman, I think this would end up on the ballot,” Brown said. A lot rides on that approval. Brown said the state will not have a long-term sustained funding proposal without the tax passing. Brown says lawmakers have not worked out the “nitty gritty” details on how taxing employers based on their health coverage policies would work. She expects that proposal to take longer but said the details will get worked out in the next few weeks. Legislators in the House and Senate agreed that funding the Oregon Health Plan is a priority. The legislative session starts Jan. 22. Other priorities included improving education, housing and climate change. She said that voters indicated funding Medicaid is important when they passed Measure 101 in a special election in January. 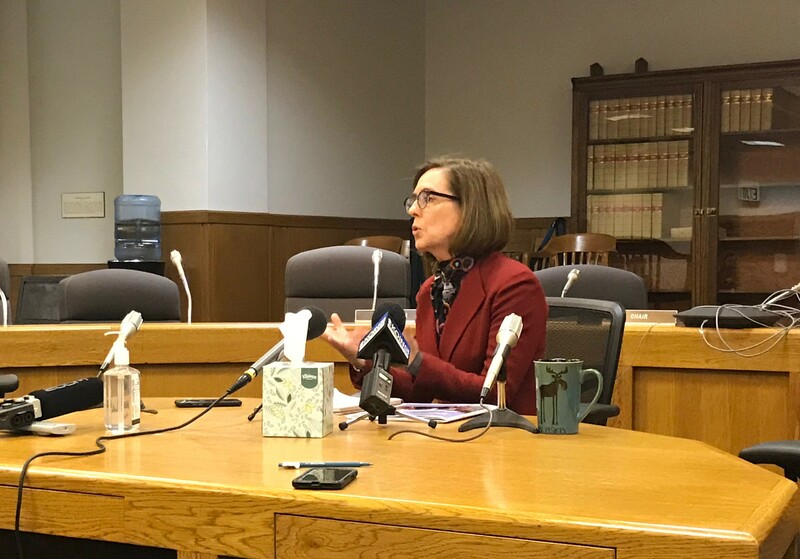 “We’re going to do what we can to make sure Medicaid stays strong in the state of Oregon,” Kotek said.